This slightly "unconventional necktie" is part of BlackBird's latest Winter collection. The tie's skinny cut, simple solid color design, and out-of-the-ordinary fabric blend, makes this a popular choice among younger tie aficionados. BlackBird uses a worsted wool blend for this new collection. 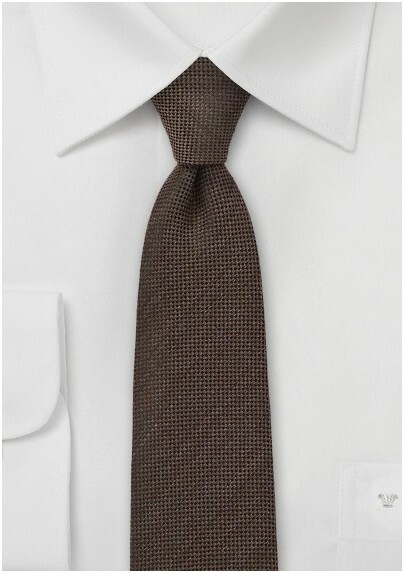 The tie as a slightly more rugged look making it a perfect casual accessory. 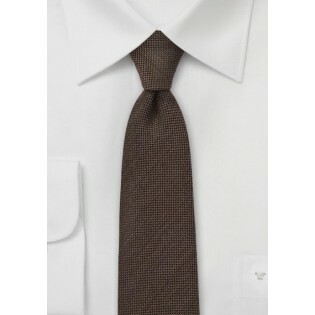 This tie is also available in dark navy, gray, charcoal, camel-brown, and wine-red.